You may recall that our grand plan for the master bathroom recalls a tub – a jetted tub, to be precise. I think the fact that it’s covered in dirty footprints gives it that little something extra, don’t you? 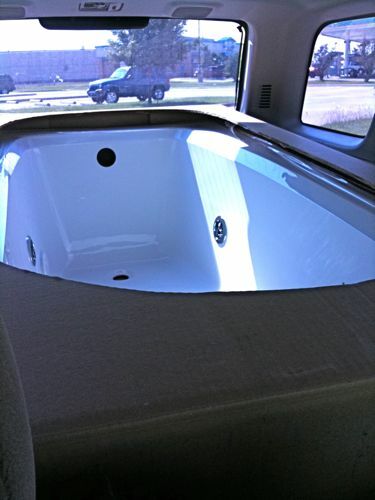 We brought my SUV in the hopes that this ginormous tub would fit, but we weren’t really holding our breaths over it. Jason’s dad lives nearby and we figured that we’d probably swing by his house to borrow his truck. 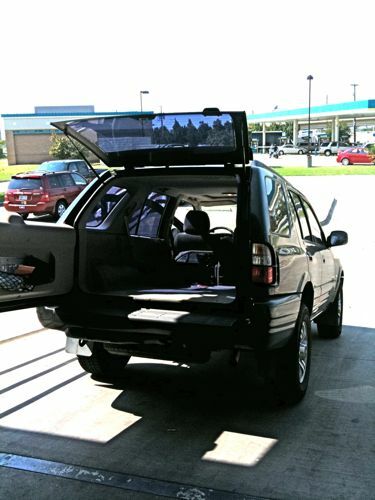 Luckily after a quick test drive with the measuring tape I discovered that the tub would just fit in the back of my SUV. This is what we call a “perfect fit,” ladies and gents! Now I’m jealous that our flip is going to have a jetted tub and I don’t. Sigh. What if you love the resulting flip much more than your current house? Would you even consider moving there? I maintain my thesis statement: your future buyers are the luckiest sodding people on earth. Excellent stealth maneuvres – particularly in snagging the ‘dirty’ tub everyone else ignored! Now tell me more about this ‘Surplus and Seconds’ …. need I start driving south right this second? I can’t lie, Seconds & Surplus is pretty darn awesome – it’s kind of like being able to walk into an Overstock jammed full of building supplies. Not the world’s largest selection, but that’s okay for a flip. We’re hooked! I must know more about your master bath redo– we are about to embark on ours and I really want to try and fit a tub in with the shower—is it hard to install yourself? 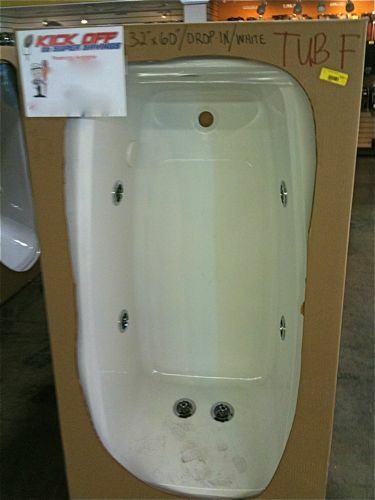 Are you planning on building the surround for the tub? I love that tub and would love one up in my aster but I am not sure it will even fit in the door! any advice/info appreciated!! !